Holly’s Housewife Life: Let's talk about THEFACESHOP..
but there is good reasoning behind it..
Have I ever mentioned that I am slightly, crazy competitive..?? And unknowing to them, I entered in a bit of a faceoff with THEFACESHOP. In my mind I had challenged the below products to a use all duel. Alas it's due time, I have to report... THEFACESHOP beat me. They won this round, hands down. I didn't even come close to finishing the products; after using twice a day for 3 weeks! That's major value when you take a peek at these prices. 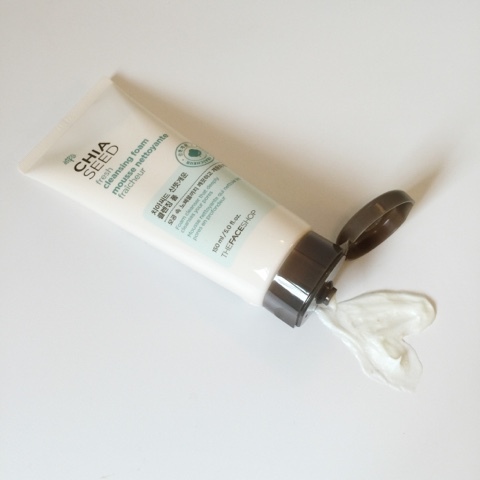 I was caught off guard by how much I loved the cleansing foam, you've seen one foam you've seen them all right? Wrong, the CHIA SEED was a pearly, foamy deep cleansing dream. It was non drying, non oily just a lovely fresh feeling clean. I will continue to use it long after this bloggy has been posted. *because I love it and because its the never ending product, sorcery! I am the worlds biggest toner slacker but the spray-ability makes toning so convenient. I applied it to my face and neck daily the mist was fine and soft; a really refreshing feeling and none of the cotton pad hassle. Serious praise, this one may turn me over to the toned side! 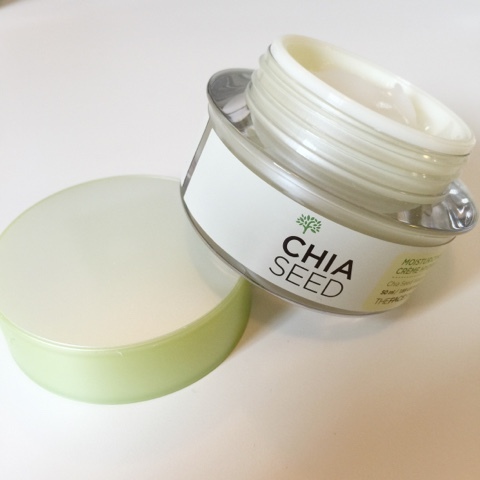 I can be sensitive to moisturizers but the chia seed was very complimentary to my skin. 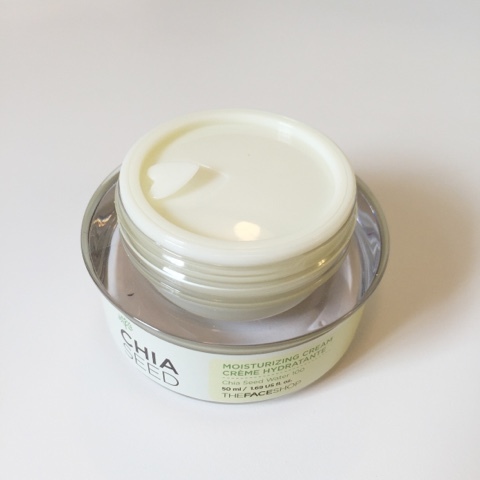 Really comfortable for both day and night; I would slather it on thick in the evenings and spread a thin layer on pre makeup in the morning. It left my skin hydrated, soft and clear. P.S - can we mention the packaging?!! Really sturdy and definitely display worthy, that heart tab; swoon! I was really pleased with THEFACESHOP results, & the prices are on point! 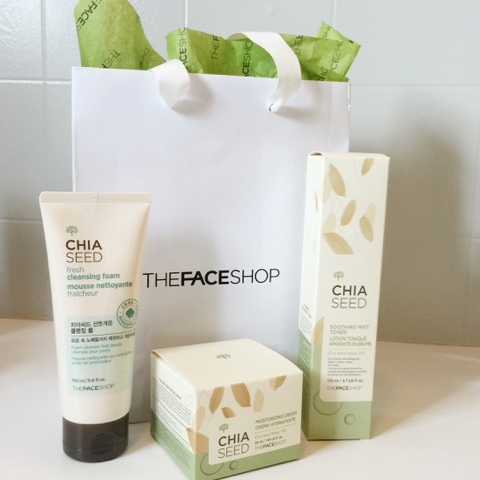 Have you ever tried THEFACESHOP??? You may have got some products in your Topbox a couple of months ago, that's how we were first introduced. * Products were sent to me for review. Real results, real thoughts. I love when I get a product that seems to never run out!! Sorcery, lol! 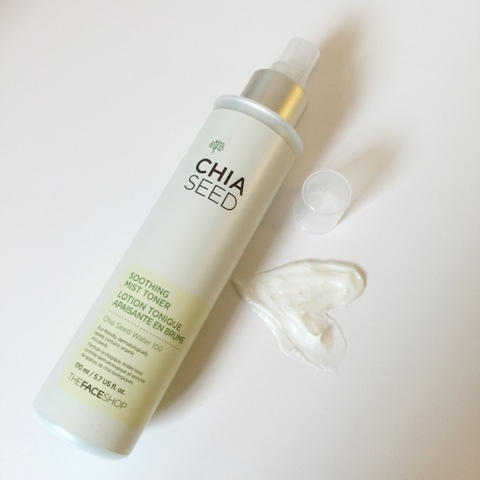 :D And I am quite intrigued by the chia seed cleansing foam. 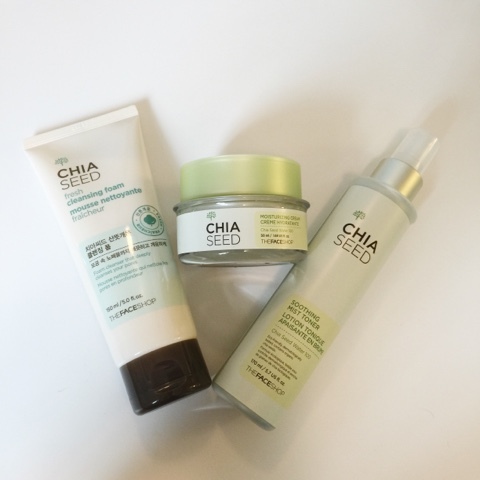 Actually, the idea of using chia seed in any beauty product is interesting to me. Your right, the packaging is sweet. Simple/classic and totally display worthy! I'm a toner slacker too but love spray bottle versions because I HATE seeing my products wasted on a cotton pad. I use the Caudlie elixir because it's a spritze. The cleanser sounds interesting! Might have to buy after using up the other 35621334 face washes I own. Spritzy toners ftw! I tried the calming seed range and I'm looking forward to trying more, I'm so impressed by the quality of the products!